Then open it with Google Earth. You will be asked to switch the view to Mars and then you should be able to zoom in on the Gale Crater area with the slope map overlaid. 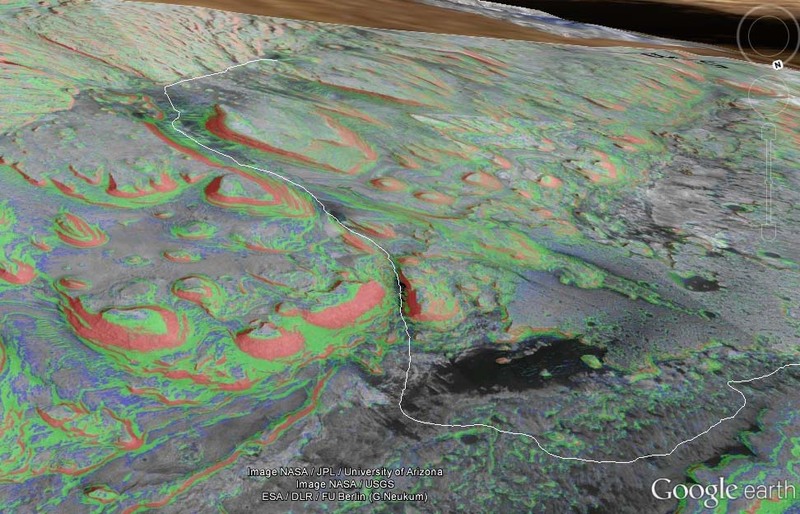 Recently Google has put high-resolution HiRISE imagery of Gale Crater on standard Google Mars, which tends to overlay the slope map. To disable that layer, uncheck “Rovers and Landers” in the Layers area on the left of the screen.